The chicanery at the core of fashion, that it perpetuates notions of individualism and ideas, all the while producing myriad versions of the same thing, is fascinating. That the Normcore trend has been widely derided as everything from a satirical construct to non-existent, isn’t stopping a large number of supposedly premium and principled brands ripping off Balenciaga sneakers for example. And you only have to look at, apparently arch creatives, Aries, Our Legacy, YMC and even women’s brand LF Markey, to see a very similar line of thinking – washed out denim, sloppy sweatshirts, slovenly graphics. It’s highly likely that none of these brands would actively embrace the term ‘fashion’, much preferring to suggest they produce ‘style’ – non-time-sensitive items with which to craft a wardrobe. I suggest such hokum doesn’t withstand the evidence of one’s eyes. Whatever Norecore was or wasn’t, the original notion was anti-fashion clothing – outfits so mundane and routine as to render the wearer virtually invisible. Somewhere along the way this morphed into kaleidoscopic 90s platform sneakers and titanic washed jeans. If you really don’t want to be noticed, may I suggest the traditional stalwart of the socially irrelevant, head-to-toe beige. Here are four pieces, all available now at Alpha Shadows. Three of the pieces, come from Maillot, specifically their ‘Mature’ line. 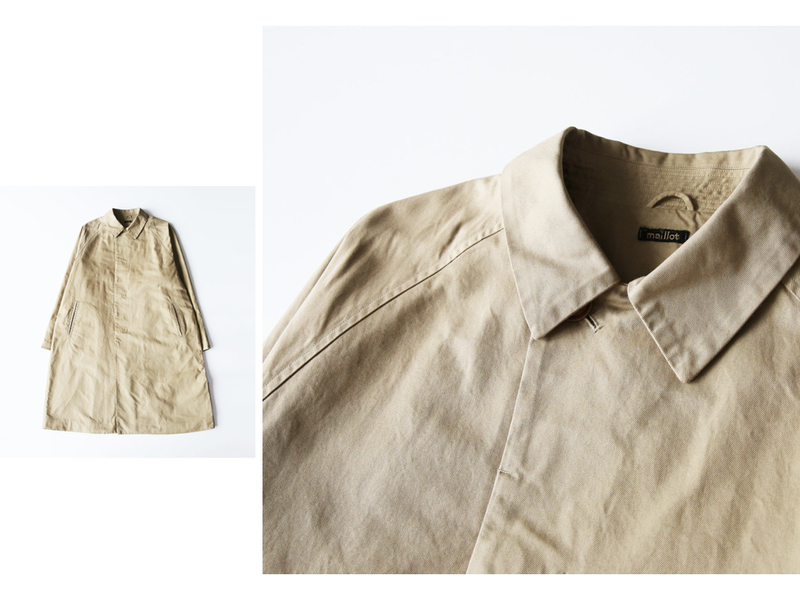 We’re got a beige cotton overcoat, a beige cotton shirt and a beige cotton trouser. That’s a significant amount of beige and a non-trivial amount of cotton. 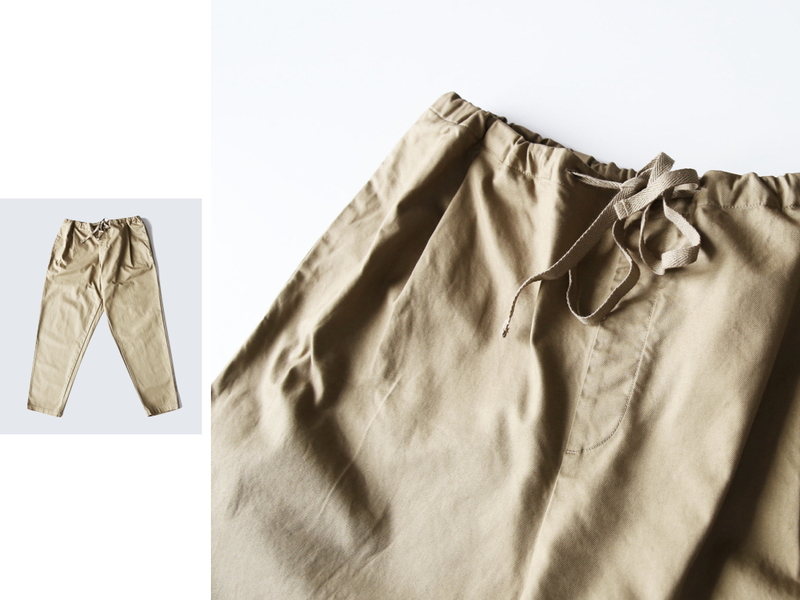 On their own they’re each loosely cut, soft and easy to wear and, crucially, Japanese. 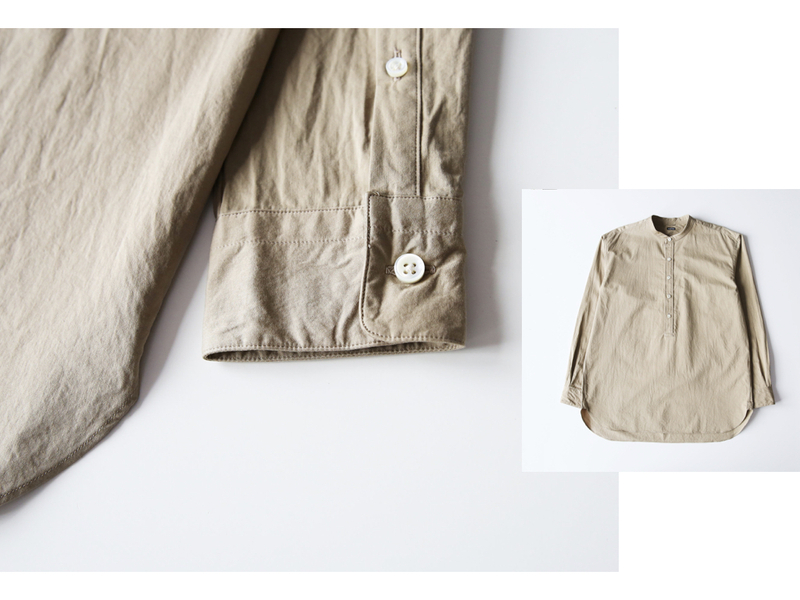 Worn together, as one wall of beige cotton, they become something more. The sum of these parts is maximum bland. Spectators will assume you are either the foreman at a Lidl loading bay, or someone far less interesting than that. The fourth item is these sneakers. To achieve paramount vacuousness you can’t forget the footwear. 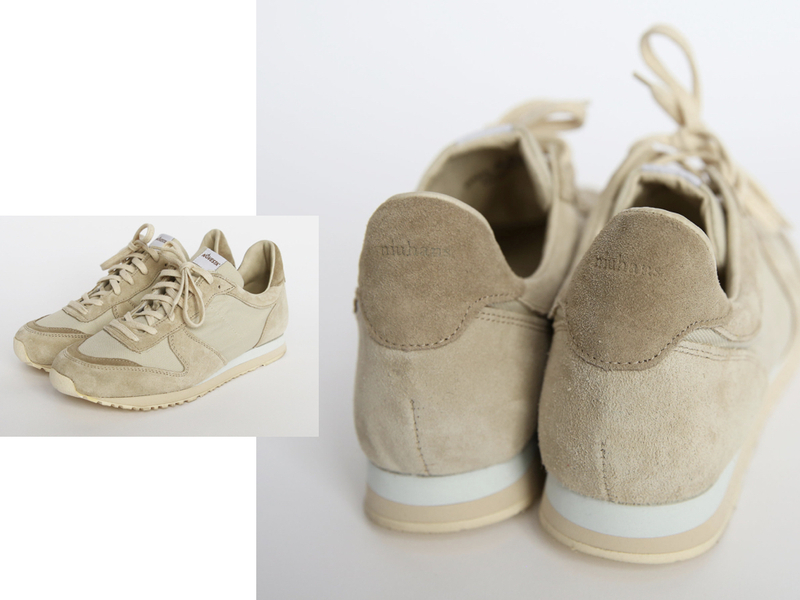 These are a Niuhans x Novesta collaboration and hue-wise, it’s almost as though they had Maillot on the phone to treble-check the exact Pantone of ‘blah.’ They are lovely sneakers, don’t get me wrong. Just almost perversely correct when considered next to the other three garms. The invisible man. A cardboard man. A man who could hide in a child’s sandpit. A man who drinks cranberry juice very carefully. If any of these accurately describe your stylistic goals, shop on.